In August 2012 the Johannesburg Metropolitan Police Department illegally displaced and evicted more than 1,000 families from the industrial area of Marlboro South. The Informal Settlement Network (ISN) has recorded these violations of human rights and dignity in depth. The Marlboro community has been supported by South African SDI Alliance who provided emergency shelter, and Lawyers for Human Rights who have supported the community’s legal action. 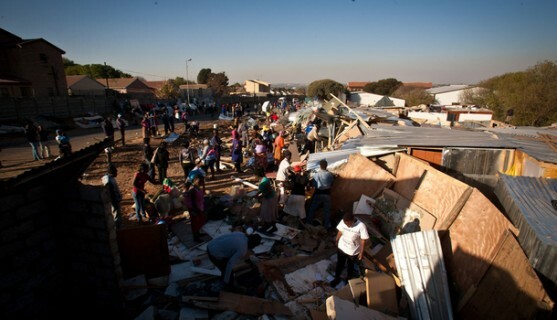 The Informal Settlement Network (ISN), which pulls together more than 130 settlements across Gauteng Province, is now planning to take direct action by organising a public protest march on Tuesday, 11th September. The ISN has been working in collaboration with the City of Joburg and Ekurhuleni metros for more than three years but have not progressed at all in formalising partnerships that would include informal settlement residents as active stakeholders in the service delivery process, not passive recipiants. A press release will follow soon to outline the programme. On Friday 7 September, a media briefing will be held in Marlboro in the lead-up to the march, where more than 15,000 informal settlement dwellers for 130 settlements are expected to peacefully march on the Premier’s office and hand over a memorandum. At the briefing, to be held on the corner of 2nd Avenue and 4th Street, Marlboro, Sandton, the ISN will talk through the challenges of building partnerships with local government. The media briefing aims to inform journalists and other affected and concerned parties on the Marlboro situation, and the struggle of the poor in these “world class cities”. The briefing will start at 14:00. The ISN is calling on the media to attend this briefing in the lead-up of the protest march on the 11th of September. 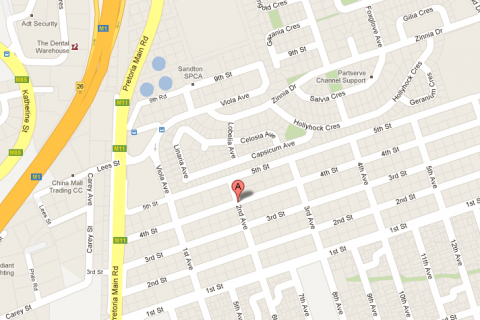 Enumeration of Enkanini (Stellenbosch): Capturing it as it happens.